It’s True, Sickle Cell Education Can Be Fun! Let's be honest. The average person is not going to be passionate about reading through pages and pages (and pages) of research journals and clinical studies on sickle cell. But, that doesn't mean they're not interested in learning more about the disease or helping advocate for people who live with it. All that it does mean is that the way information is being presented to them is dull and tedious; what's more, there's no real way for the person to relate it to real-world experiences and cultivate a hands-on understanding. 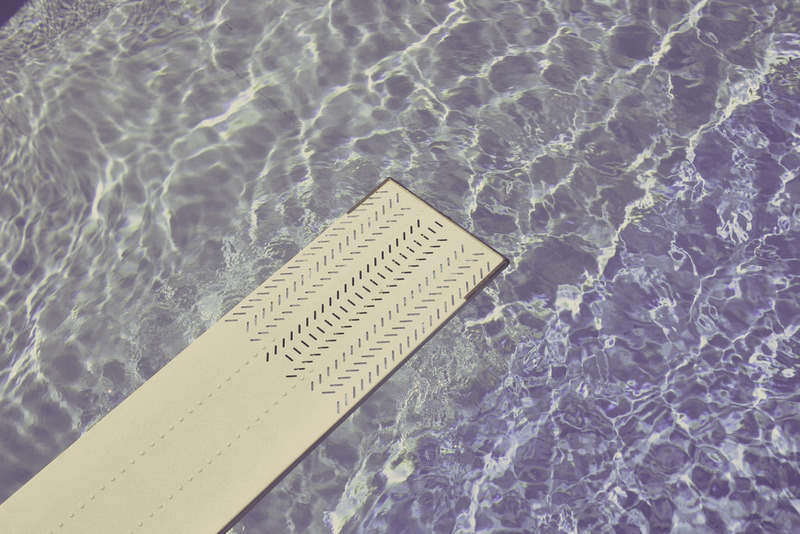 To help bridge the gap for students, community members, and others you may seek to spread awareness, dial down the mundane reading and turn up the interactivity. With Edheads's Sickle Cell DNA game, you can do just that -- all you need is a classroom or center with access to computers or tablets; students can even play on their phones! The key word in all this? Play. According to the Institute of Play, "The meaning of knowing today has shifted from being able to recall and repeat information to being able to find it, evaluate it and use it compellingly at the right time and in the right context." This can be applied to all age groups and all subject matters. The Institute continues, "Games ... are designed to create a compelling complex problem space or world, which players come to understand through self-directed exploration. They are scaffolded to deliver just-in-time learning and to use data to help players understand how they are doing, what they need to work on and where to go next. Games create a compelling need to know, a need to ask, examine, assimilate and master certain skills and content areas ... There is something in play that activates the tenacity and persistence required for effective learning." At the start of the Sickle Cell DNA game, players are transported to a virtual clinic, where a virtual genetic counselor greets them and explains that their job will be to review the family history of the Williams couple to see if they may be carriers of the sickle cell trait. They are also informed that the couple has come to the clinic because they are considering having children. Throughout the game, players are exposed to genogram interpretations, DNA building, DNA coding, protein folding, and finally, genetic testing and counseling. 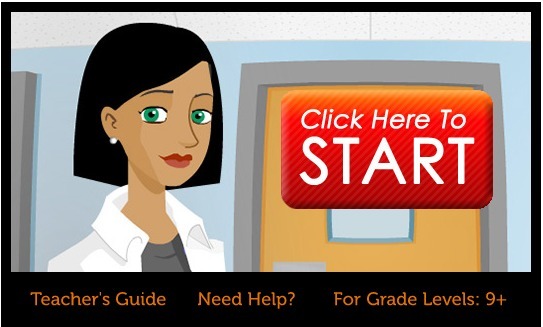 Not only is this tool great for helping players gain an even deeper understanding of sickle cell disease, but it also introduces students to the concept of personalized medicine and the career field of genetic counseling. Give the game a try by clicking here. What do you think of this game? Will you use it with people you teach about sickle cell? Tell us in the comments below! Category: Resources for Parents, Sickle Cell Disease Tags: sickle cell, sickle cell dna game, sickle cell games | Comments Off on It’s True, Sickle Cell Education Can Be Fun! Sickle Cell Advocacy Day may be over, but there's plenty more to do after leaving Capitol Hill. Take a peek at what some people have been up to post-Advocacy Day and let their work continue to inspire and motivate you. Then, dive in and get to work! 1. On Sunday, April 19, 2015, T-Boz took the stage at a sickle cell awareness concert called "T-Boz and Friends Unplugged Featuring Raphael Saadiq." Held at the Grammy Museum at L.A. Live, this charity concert also had performances by Faith Evans, Kat Graham, and others. Funds raised by ticket sales will go to the Sickle Cell Foundation Support Group. 2. Bethune-Cookman University has collaborated with Halifax Health in Daytona Beach, Florida to offer FREE bi-monthly sickle cell screenings at Odessa Chambliss Health Center. 3. A former schoolteacher, Tiffany Dews of Richmand, Virginia, has entered a new line of work -- one that helps heal and raise awareness for SCD, which both of her sons have. Now employed by Virginia Blood Services, Tiffany spends her days assisting with blood donations, doing lab work, and going out into the community to recruit more African-American donors, specifically for sickle cell disease patients. 4. Another film about sickle cell disease is now in post production; this time, it's a documentary. Entitled Spilled Milk, this doc follows the life of Omar Beach (a longtime friend of the filmmaker) and his experiences living with sickle cell. What events, community activities, etc. will you be involved in this year? Share the sickle cell work you do (or plan to do) in the comments below! There are only two more days until Sickle Cell Advocacy Day 2015 kicks off! You probably already have plans to hit the Hill and speak with your representatives, meet with other SCD advocates, and even see a little bit of the city while you're there (the Cherry Blossoms are beautiful this time of year!). Before you pack up the car, hop on the train, or board the plane for D.C., here are a few things you should do to prepare. 1. Become an official sickle cell disease advocate. We already know you have a passion for helping people with sickle cell, but if you're not already an official member of the Sickle Cell Disease Association of America (SCDAA), you should definitely join before you arrive in D.C. This way, you'll be sure to stay on top of SCD events, legislative activities, and more that relate to SCD throughout the entire year, not just this one day. Joining is easy: Just e-mail scdaa@sicklecelldisease.org or call them at 410-528-1555, and they'll get you started. 2. Familiarize yourself with the legislative materials. This year, as in other years, the focus will be on the re-authorization of the Sickle Cell Treatment Act, as well as the topics of funding, research, education, and awareness. Look over these materials before you arrive, so that you're familiar with the important talking points you should address when meeting with your rep.
3. Review the agenda. April 15 and 16 will be full of hard work, but also full of fun, so make sure you check the agenda, so you don't miss important meetings and meet-ups. There will be a welcome reception and advocacy training on April 15, the night before your day on Capitol Hill. Then, after your day on the Hill, be sure to attend the "Eat & Greet" co-hosted by Xickle and Dr. Lakiea Bailey, where you can enjoy some good food, network, share ideas, and learn ore about how Xickle can help those with SCD. 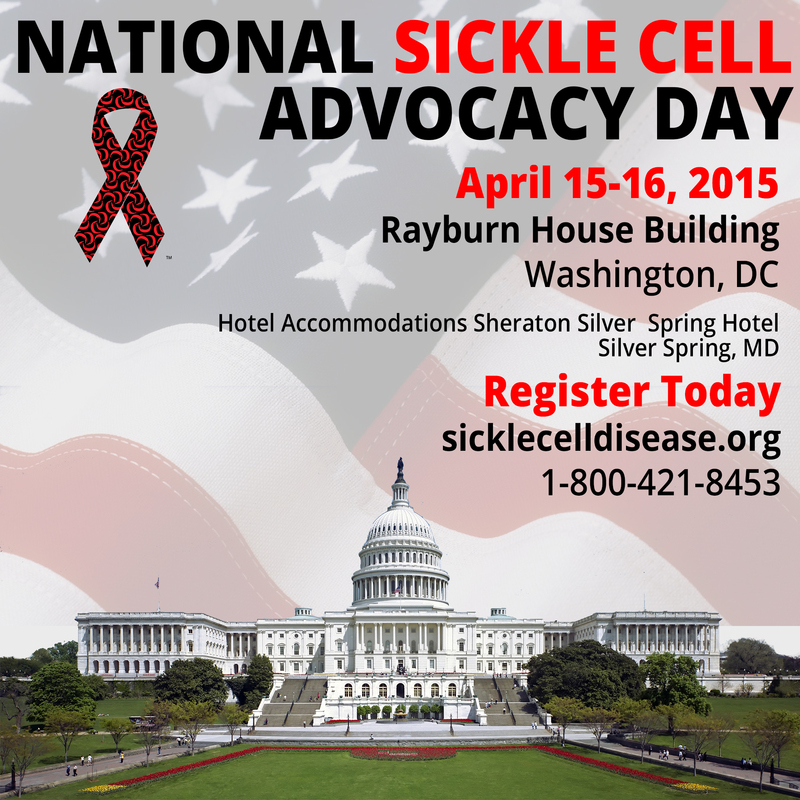 What are you most looking forward to doing/attending this Sickle Cell Advocacy Day? Tell us in the comments below! 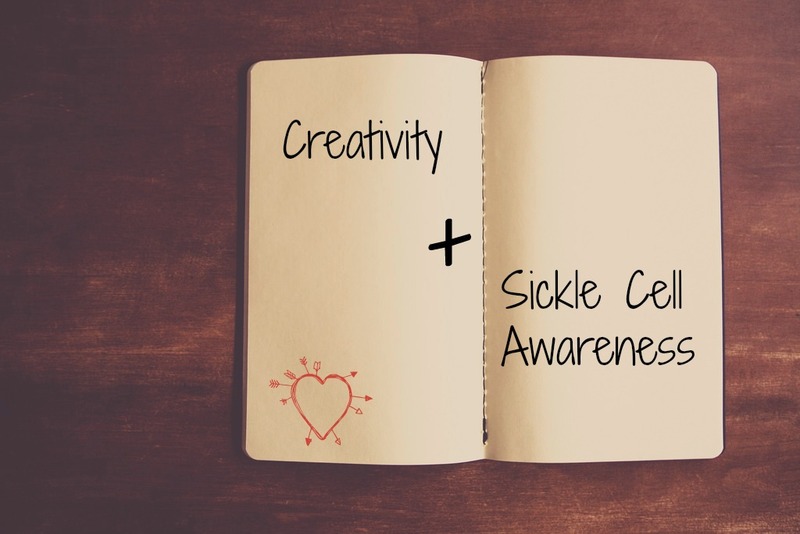 We've talked about how art and music therapy can benefit those living with sickle cell, and we've also brought you news of a feature film all about SCD. This week -- just one week out from Advocacy Day 2015 -- we're shining a light on two sickle cell warriors who are using their creative gifts to spread the word about SCD and contribute to educating others about the disease. As you prepare for Advocacy Day, watch the videos below and get hyped and ready to continue the fight for sickle cell awareness all around the globe. Dr. La'Veda Wallace-Page (AKA Sickle Siren) has channeled her pain, motivation, and life lessons into the creation of her very own stage play, Crisis and Courage. Structured as a series of monologues (similar to the play, For Colored Girls by Ntozake Shange), this play shares Dr. Wallace-Page's experiences as a sickle cell soldier -- the struggling and the overcoming -- and features several performers. The play initially debuted last summer, but be sure to follow Dr. Wallace-Page on Facebook and Twitter to learn about upcoming performance dates, times, and venues.